VoIP technology is highly advanced and decades ahead of traditional phone technology. However, it is not new. VoIP was “born” all the way back in 1974. That is when the first encoded voice packet – all 16k of it! – was sent over the ARPANET, which was a precursor to the internet. 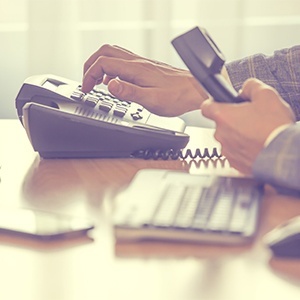 While many businesses that switch to a hosted VoIP phone system opt to purchase certified VoIP phones, this is optional rather than mandatory. It is certainly possible to use mobile phones (via apps) as well as “softphones” (i.e. making/receiving calls via computer). Switching from a traditional phone system to a hosted VoIP phone system does NOT mean that you will have to change your phone number(s). You can keep your existing number(s), and your callers will experience zero disruption. Frankly, they will not even know you switched unless you tell them (or they may ask why it is so much easier to get in touch with you than before!). Hosted VoIP phone systems can remain operational during disasters and emergencies, even as local phone companies go offline and leave businesses without a way to contact their people or customers. This is because hosted VoIP phone systems use a geographically dispersed cloud infrastructure. Hosted VoIP phone systems feature several layers of back-up/business continuity, including automatic failover response and bandwidth aggregation. Hosted VoIP phone systems offer access to emergency services (e911). This is mandated by the FCC, and managed upstream by VoIP solution providers. There is no cost to businesses. Hosted VoIP phone systems are automatically upgraded with the latest innovations. Businesses do not pay for these improvements, as they are part of the package (SLA).